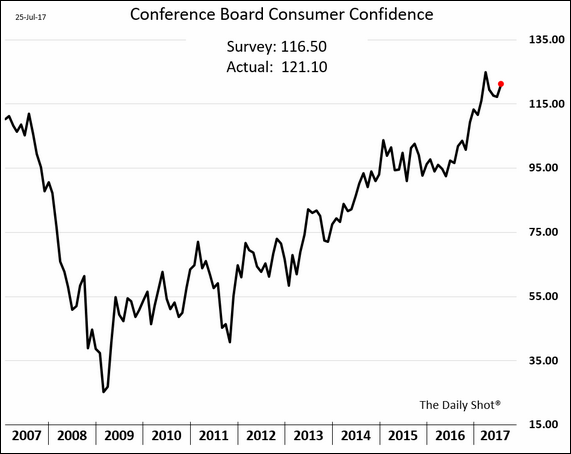 The United States: According to the Conference Board, consumer confidence in the US remains elevated, beating economists’ expectations. 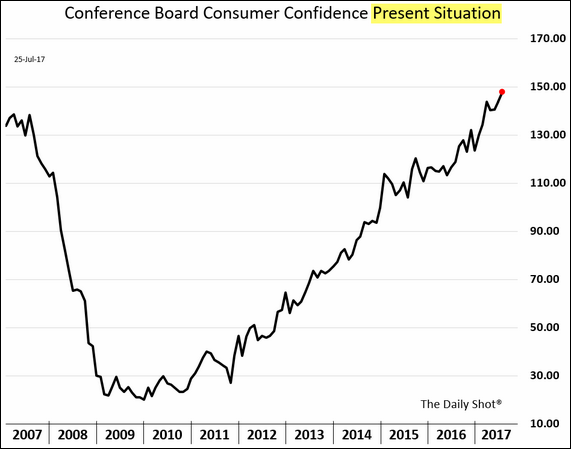 The “present situation” component of the Conference Board’s report has been exceptionally strong. Will we see this trend translate into higher consumer spending? 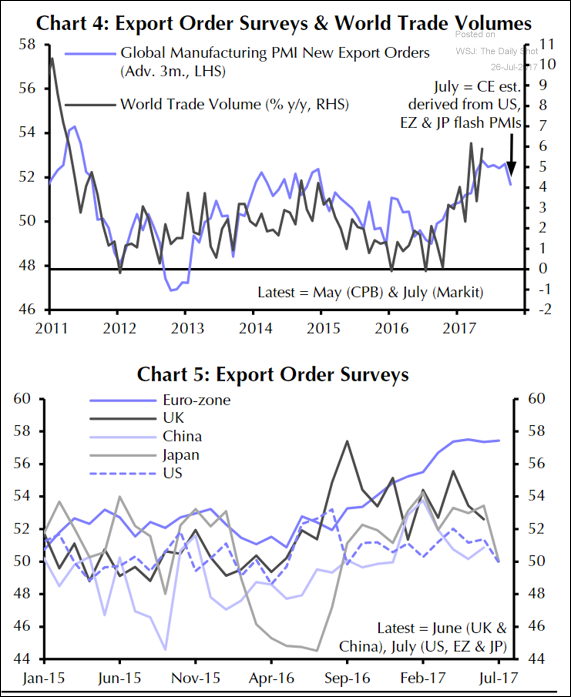 Global Developments: Is the recent growth in world trade about to slow? 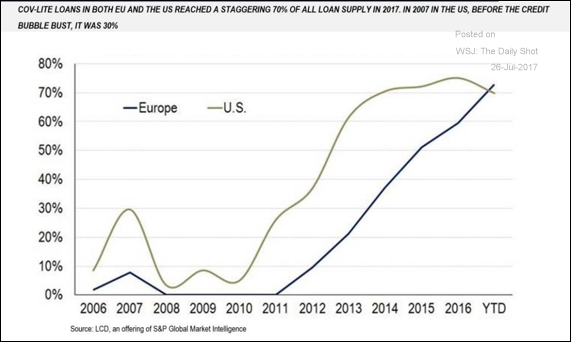 Credit: The percentage of covenant-lite leveraged loans in Europe has exceeded that of the US. 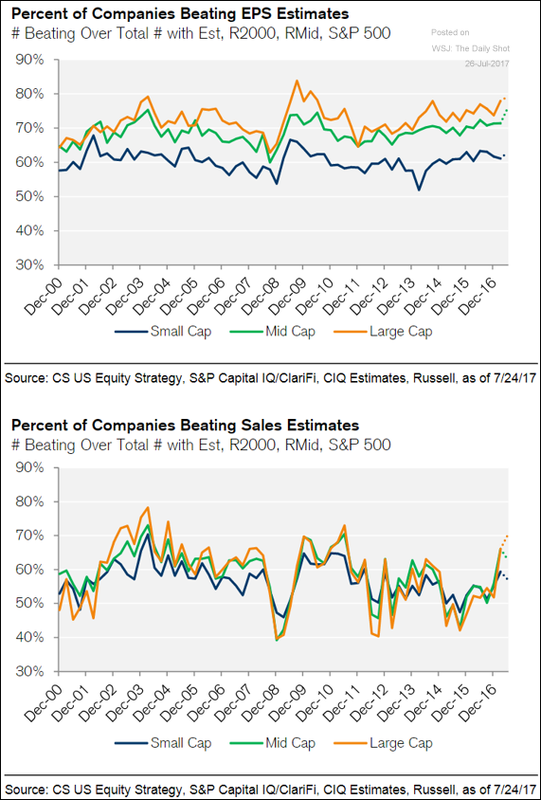 Equity Markets: The charts below show the percentage of companies beating earnings and sales estimates, broken out by company size. 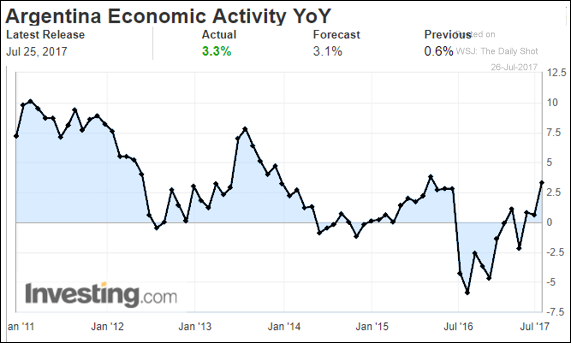 Emerging Markets: Argentina’s economic activity is improving. 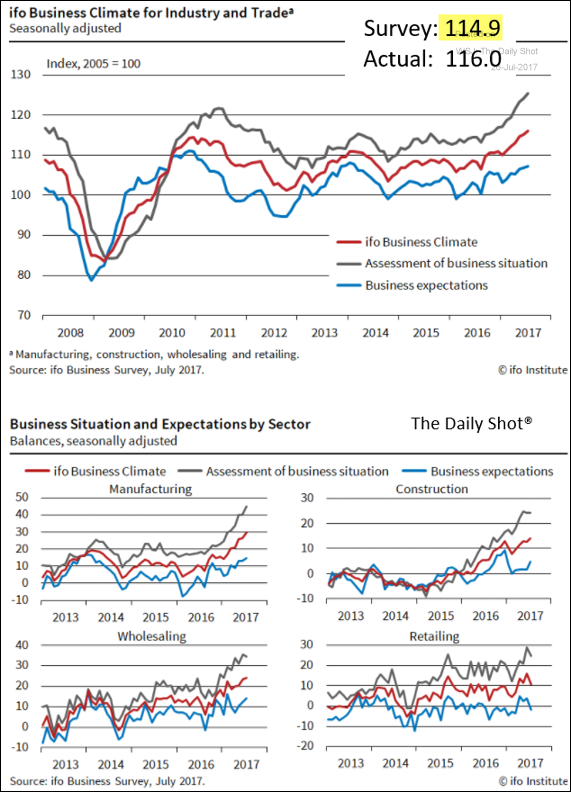 The Eurozone: The Ifo business sentiment index for Germany hit a multi-year high, beating expectations. The second chart below shows the breakdown by sector. Note the increasing divergence between the current situation and the expectations index. 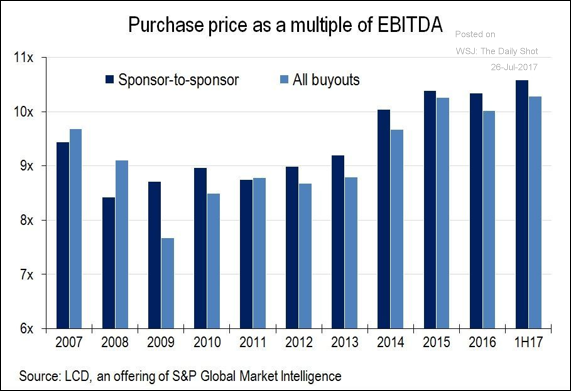 Alternatives: Private equity (PE) buyout multiples look stretched. 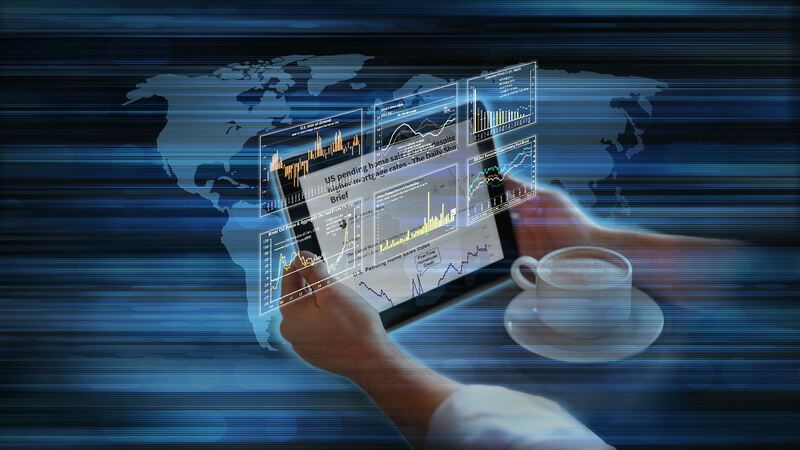 The investment justification is often based on frothy public benchmarks. It’s hard to see the recent PE vintages ending up with decent returns. 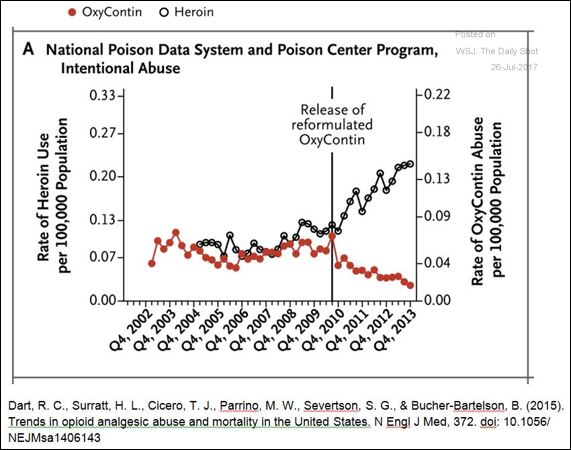 Food for Thought: The introduction of a new OxyContin formulation which makes it hard to break down the pill for use in injections and snorting reduced the rates of abuse. However, heroin use rose sharply (as opioid addicts switched over).